What Is A Parenting Plan In A Child Custody Case? In Tucson Arizona, Child custody cases are exhausting and sometimes very damaging to the children. When the decision to split up gets messier when it comes to child custody, it is important to understand how a document called a parenting plan can help make it a little less terrible. Parenting plans have their pros and cons, but it is important to first understand exactly what a parenting plan is and how a child custody lawyer or family law attorney can help you build one. Divorcing is never easy. It can be especially hard on children that may be involved. When it comes to finalizing parenting time and child custody, also known as “legal decision making”, the decisions are usually wrapped up in something called a parenting plan. A parenting plan is a document that is part of a divorce order, such as an order modifying legal decision making and parenting time or an order of paternity. Essentially, the parenting plan is a constitution of parenting for a separated family. It is important to note that is the parents in question agree on what should be done about legal decision making and parenting time, the parenting plan can be adopted as temporary. If two people amicably divorce and agree that there doesn’t need to be a detailed clear plan on how they will precisely split parenting time, holidays, vacations, or make decisions, and additionally believe that they will be able to get along well while parenting separately, then a parenting plan may not be necessary. However, we can never be sure how a relationship may evolve and disputes can happen. This is where a parenting plan is useful– the use of a detailed document spelling out exactly how to split things up and make decisions could end disputes quickly. Since a parenting plan covers many aspects of legal decision making and parenting time and is essentially the authoritative constitution of how the child will be raised in a divided family, it is important to be exceptionally thorough when building a parenting plan. The document should be drafted well and incredibly thorough, and should not be rushed. Any vague ideas expressed in the document could lead to future disputes and can essentially destroy the original purpose of having a parenting plan. Nobody want to go back to Tuscon child custody court for further legal issues surrounding their already adjusting children. It does not matter how well a divorced couple is getting along at the time the parenting plan is written, either, so details in the parenting plan must be expressed as clearly as possible. Legal decision making rights are an important aspect of the parenting plan and should be understood clearly. Designating legal decision making rights is essentially the determination of whether parents will have joint legal decision making privileges or whether one parent alone gets to make legal decisions for their child. In additional detail, the parenting plan will cover each party’s rights and responsibilities for the car of the child. This can include the child’s health care, religious training, and education. Having this designated in the parenting plan will make dealing with these issues in the future potentially easier. It is important to note that a procedure for communication should be included in the parenting plan. This entails exactly how either parent should contact each other concerning child related issues, and how children can communicate with one parent while present with another parent during designated parenting time. A parenting plan is often seen as a complementary document when it should be seen as critical. When it comes to cases that involve young children, it is important for the well being of the child to have a parenting plan in place that will prevent ugly and sometimes traumatic disputes. When it is time to draft the parentings plan, both parents should see a family law attorney in Tuscon or child custody lawyer to get help writing it up in the most detailed way possible. I need help writing a parenting plan and want to find a good family law attorney. Luckily, My AZ Lawyers is available. We are a professional limited liability company featuring a fantastic team of child custody lawyers and family law attorneys that are ready to fight for you and your children. 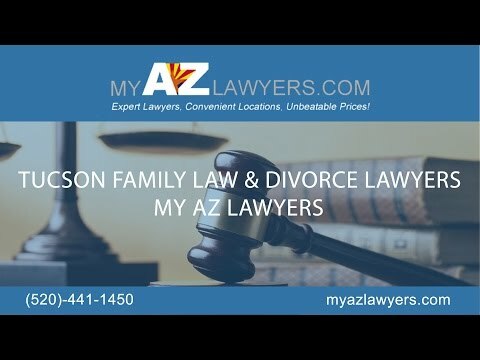 When it comes to understanding Tucson child custody laws, My AZ Lawyers has child custody lawyers in Tuscon that are experienced and have specialized expertise in Tuscon child custody law. Give us a call today to learn more about how we can help you and get you matched with a family law attorney that will suit your needs.